Pakistani President Asif Ali Zardari is being treated in Dubai for a heart condition, his spokesman has said, dismissing reports that he may resign. 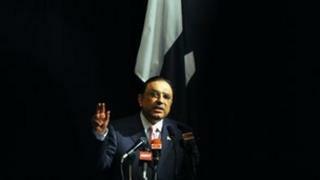 A presidential spokesman said that Mr Zardari was undergoing "medical tests and check-ups as planned". But his departure has fuelled speculation in the Pakistani media that he may be on the verge of resigning. A controversial political figure, he came to power after his Pakistan People's Party won elections in 2008. The party had been led by his wife, former prime minister Benazir Bhutto, until she was assassinated in 2007. Pakistan's civilian government has been under pressure in recent weeks after a scandal over a leaked memo in which officials allegedly sought US help against a possible military coup earlier this year. It resulted in the resignation of Pakistan's envoy to the US. Pakistani media have speculated that the president's ill health could be a pretext for his being about to quit in the wake of the memo scandal. But Mr Zardari's spokesman said there was no truth in the reports. "President Asif Ali Zardari is in a Dubai hospital for medical tests and check-up as planned," presidential aide Farhatullah Babar said. "Reports in some sections of the media speculating on the president's activities and engagements are speculative, imaginary and untrue." He said that the president would return to Pakistan soon. Doctors treating Mr Zardari in Dubai describe his condition as stable and "investigations carried out so far are within normal range", Mr Babar said later on Wednesday. However, unnamed close associates of the president are by quoted by the Associated Press news agency as saying that he is currently "unwell". And a Pakistani source in Dubai who is described as being familiar with the president's condition told Reuters: "Two days ago he had a chest pain." Correspondents say Mr Zardari is understood to have undergone angioplasty in Dubai in 2005. The prime minister's office has referred to a "pre-existing heart condition". The president's spokesman said on Tuesday that part of the purpose of the trip to Dubai was to visit his children, but that he would undergo some medical tests there. He was accompanied by his physician and some personal staff, the aide said. President Zardari has been at the helm during a torrid year for Pakistan, which has seen relations with the US deteriorate sharply after the raid which killed al-Qaeda leader Osama Bin Laden. Since then, several senior US officials have accused Pakistan of backing militant groups that carry out attacks against Western and Afghan troops across the border in Afghanistan. Pakistan has vehemently denied such allegations.